This dated weekly planner printable features a simple week on two page vertical timed hourly layout. The columns measure 1.5″, which make them perfect for your favorite stickers. 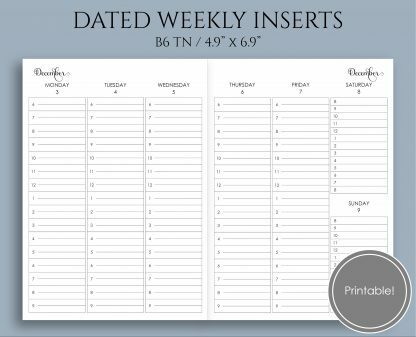 This listing is for the DOWNLOAD of printable planner sheets. They can be printed on US letter or A4 size paper. Each sheet includes crop marks. 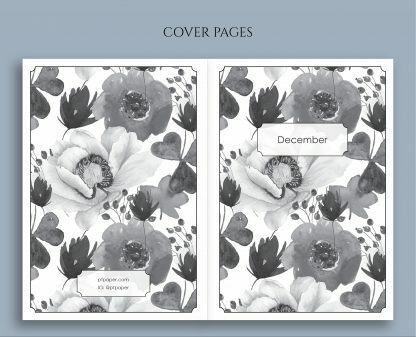 When cropped, and folded, the inserts will measure 4.9″ x 6.9″ in size.